What are the experiences of becoming an older performing artist or arts professional (over the age of 65)? How can gaining a clearer understanding of these experiences of older performing artists help to combat ageism within the population at large? The team interviewed 37 performing artists, professionals, and commentators, all over the age of 65. The artist-researchers then selected, transcribed, and collected sections of those interviews into a data set totaling approximately 225 pages. The playwright/director, along with the dramaturg and assistant director, then worked to sort through that stack of transcriptions, code the data into piles representing recurring themes, and generate a draft script. 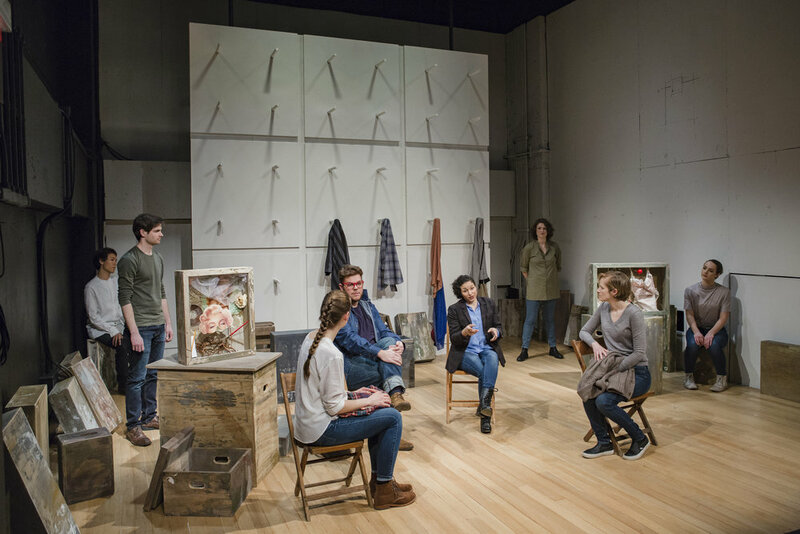 Eight of the artist-researchers studied the collected data to create verbatim portraits of sixteen interview participants who emerged as voices in the play. The performances were word for word based on the interviews and also include gestural patterns notated in the field notes for each interview. 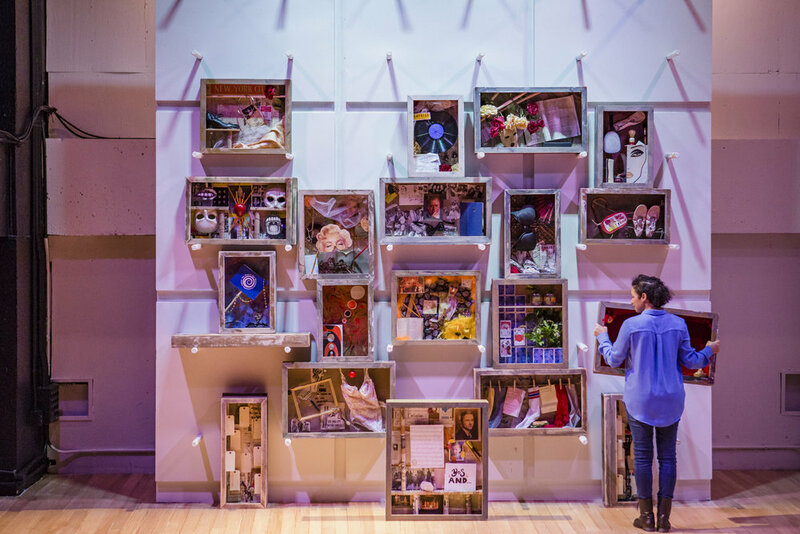 The designers also used information from the data set to create the costumes, scenic elements, props, and the soundscape used in the performance. Of a Certain Age was performed at the Provincetown Playhouse in New York City, February 23-March 4, 2018. 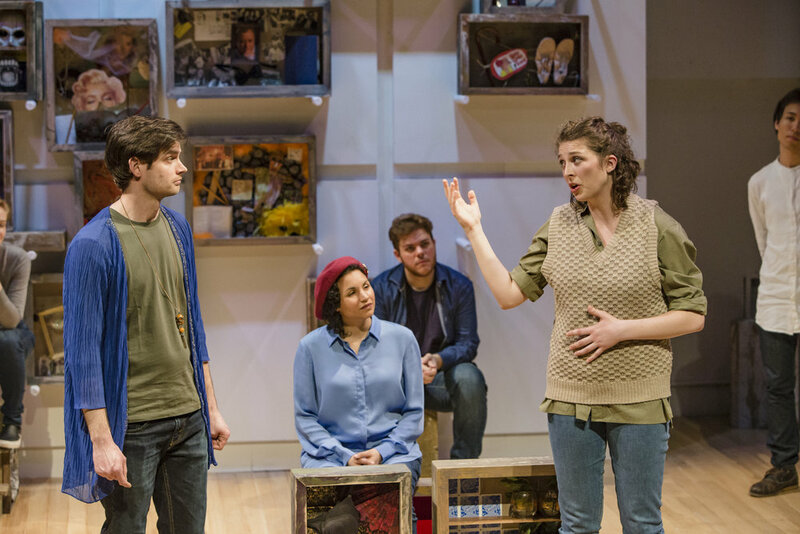 The project was a production of NYU Steinhardt's Program in Educational Theatre, in collaboration with the Verbatim Performance Lab and The Actors Fund, a national human services organization that fosters stability and resiliency, and provides a safety net for performing arts and entertainment professionals over their lifespan. Joe Salvatore (creator with the company and director), Andy Wagner (assistant director), Sarah Bellantoni (dramaturg), Traci DiGesu (theraturg), Andy Hall (scenic), Daryl Embry and Leah Cohen (lighting), Márion Talán (costumes), Darren Whorton (sound), Sven Nelson (props artisan), and Cassie Holzum (production stage manager). Researcher-actors: Rai Arsa Artha, Josh Batty, Megan Conway, Sherill-Marie Henriquez, Suzy Jane Hunt, Keith Morris, Amalia Ritter, and Hayley Sherwood. Photography by Saskia Kahn.